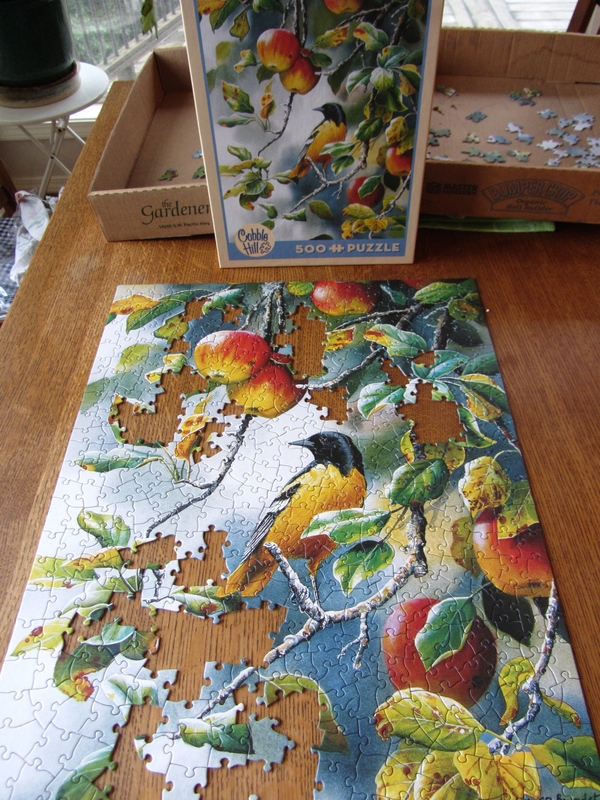 I’ve mentioned in the last couple of Short Story February posts that my reading was down some because my wife have been working on jigsaw puzzles. So I thought I’d share pictures of one we recently finished and another nearing completion. Click images to see them larger. Something about this time of year seems right for doing puzzles and we enjoy the challenge of it, but it does eat up a lot of time. Nice. We used to do them, and my parents always had a big puzzle going, The toughest one I can remember was Monet’s famous water lilies. Those are gorgeous puzzles. It has been ages since I have done a puzzle although I am sure I would enjoy it if I had willing co-puzzlers. I especially like the lower one. When I was a kid, puzzles were a big part of our winter entertainment. Haven’t done one in years. We probably have two dozen puzzles in the house, a few we have completed, then broken down and kept to maybe do again sometime, the others unopened. We usually buy two or three a year. 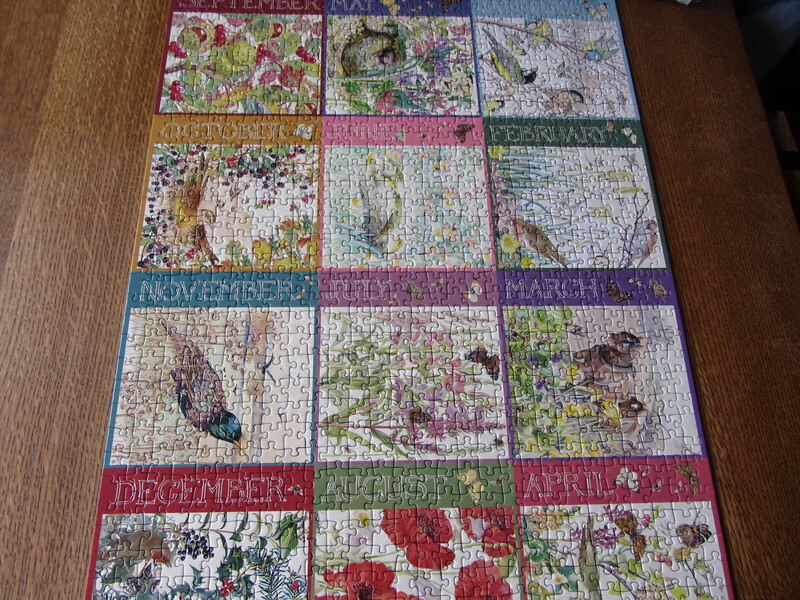 For us, “puzzle season” is from around Christmas to whenever Spring gets the garden going and we’re outside more. Even at the early stages of Alzheimer’s my mother loved to make puzzles. She was able to enjoy them for years until her mental faculties eroded. Megan does them endlessly. None of the rest of us have the patience. Patience is half of it, the other half is the satisfaction of placing a piece, and finishing the puzzle. I haven’t done one in a good 8 months, but I enjoy them and have a bunch on hand. I like to work on them when the baseball game is on. Very tempting, Richard. I feel like sitting with one right away. But I’ll have to buy one first! Jigsaw puzzles are a good pastime and beat stress too. I love puzzles. Always have one going. Also have many hanging on the walls. I love Thomas Kinkaide art work, but can’t afford it. So I do his puzzles and get them professionally framed. That’s wonderful. Lately we’re spending time in the garden, so less puzzle time.